I have a feeling these will be all over the internet by the time you read this, but what the heck – I’m sharing the love. 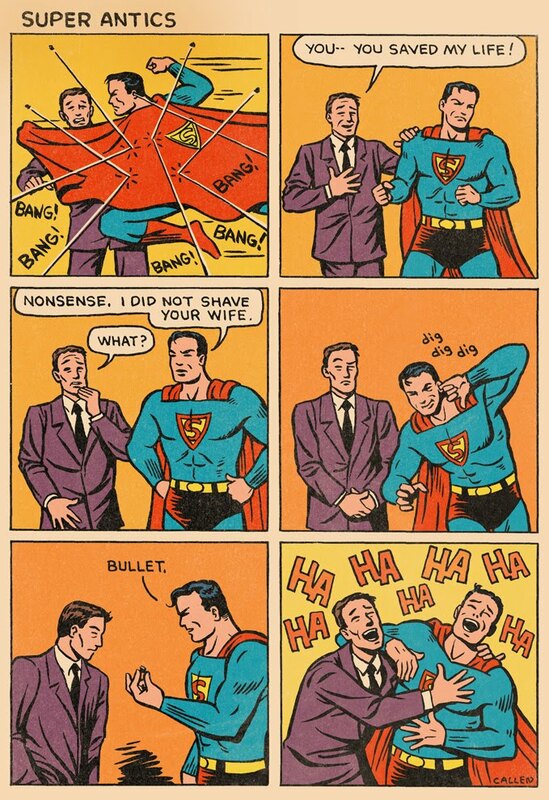 It’s a set of wonderfully done jokes in a Golden Age style featuring Superman, the Justice Society, Batman and more, by artist Kerry Callen. Posted on Wednesday, February 22, 2017 Monday, February 20, 2017 by GaryPosted in UncategorizedTagged Batman, Justice Society, Superman. Next Next post: Sorry, What Now?